We are proud to offer a wide range of comprehensive services to meet the needs of adults, seniors, and children. Our team of professional Physiotherapists specialise in providing personalised physiotherapy, exercise therapy and rehabilitation. With a multi integrative treatment approach, you can rest assure that you will receive the best treatment for your spinal injury. Everyone I worked with was wonderful, very professional, caring and prompt. My therapist was great, as were all of the aids! Established in 2007, Campbelltown Physiotherapy is one of the largest and most modern physiotherapy practices in South Western Sydney. 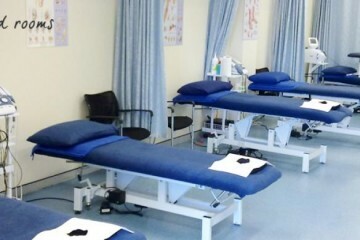 We aim to offer a wide range of physiotherapy services in the one centre.